There’s no better way to spend an evening than curled up with a good book. Especially when what you’re reading inspires you to live a healthier, more compassionate, eco-friendly, and conscious life. With that in mind, we’ve prepared a list of recommended reading that will help you be the best human you can be – for animals, and the plant. So, grab a blanket, get cozy – and happy reading! This thought-provoking read is brimming with valuable insights and ideas about how to create a vegan world – starting with a pragmatic approach. The winner of “Best Vegan Cookbook” in the PETA awards, “Feed Me Vegan” is all about recreating your favorite meals using only plant-based ingredients. We’re talking classics like lasagne, mac and cheese, and pancakes! Yummy! Why do we still ignore climate change despite scientific evidence? The Climate Outreach and Information Network, George Marshall, answers that question in this groundbreaking book. Scientist and activist, Marcus Eriksen, went on an expedition across the Pacific on a home-made “junk raft” to fight against plastic marine pollution. 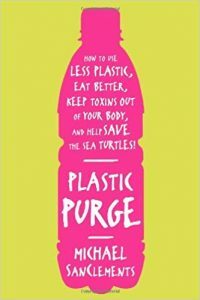 This book is his account of the journey, and details his wider efforts to combat plastic pollution. Food is a powerful tool for saving the world! 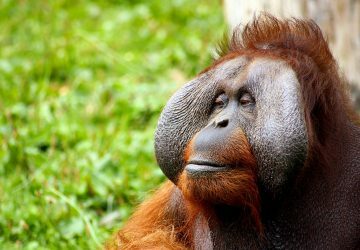 Learn how making even the smallest changes in your diet could have a positive, long-lasting effect on our planet. The title of the book pretty much sums it up. Learn to save the sea turtles! Need we say more? Veganism is the key to a long, vibrant, and healthy life. 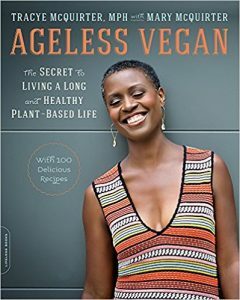 In this book, author Tracye McQuirter and her mom delve deeper into the topic – and share a 100 of their favorite plant-based recipes. What are your favorite books about veganism, sustainability, and eco-living?